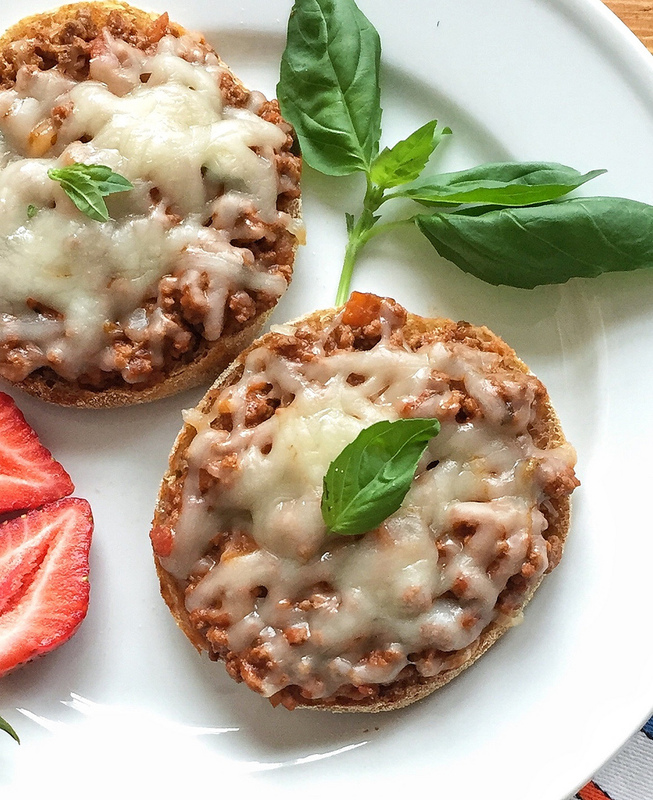 March is National Nutrition Month, and this year’s theme, Bite Into a Healthy Lifestyle, was top of mind when I cooked up this nutrient-rich, kid-friendly recipe for Cheeseburger Pizza Pies. As a mom, Registered Dietitian Nutritionist, and family food blogger at Meal Makeover Moms’ Kitchen, I believe the easiest way to bite into a healthy lifestyle is to choose a variety of colorful, flavorful, and nutritious foods that your family loves. Of course, if you have picky eaters at your table who won’t take a bite of a green vegetable, that goal may seem easier said than done! I know where you’re coming from having been in those same mealtime trenches when my now-teenage boys were young, but there are ways to turn picky eaters into perfectly happy eaters, beginning with a playful recipe like this one. Kids love pizza and burgers, so the name of this recipe alone – Cheeseburger Pizza Pies – should get everyone’s taste buds excited. 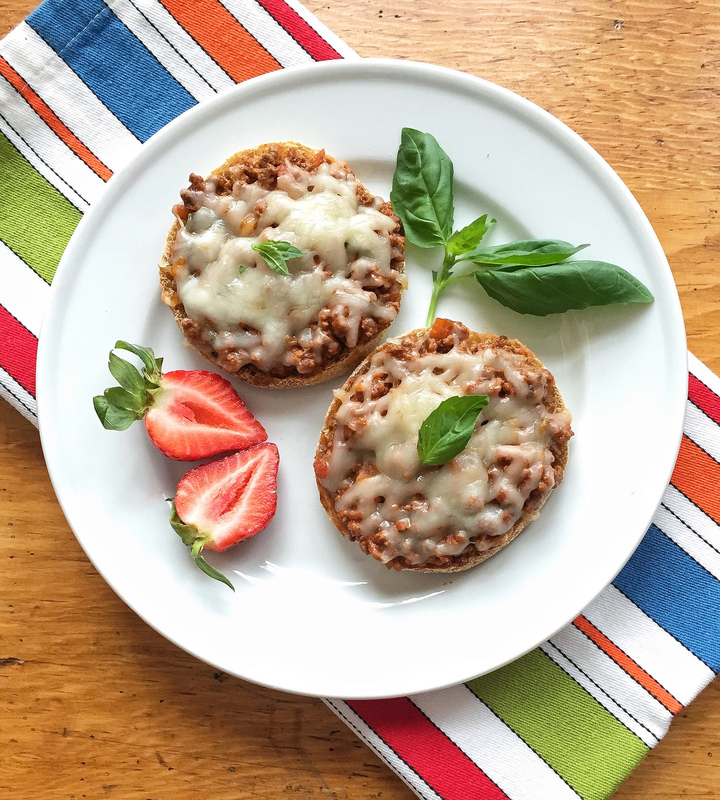 And even though I call for fiber-rich whole wheat English muffins as the base for the pizzas, they get covered with a cheesy, beef topping, so chances are, nobody will notice. (Look for the lighter, multi grain English muffins if the whole wheat is a deal breaker). I call for just 12 ounces of lean ground beef in the recipe and extend it by adding a finely diced bell pepper, which gets sauteed first, bringing out its natural sweetness. These pizzas are fun to eat and filled with flavor; a win, win for National Nutrition Month. Getting kids involved in the kitchen is a great way to encourage them to try new foods, especially the foods they’ve helped to prepare. Depending on the age of your children, they can help with this recipe by dicing up the bell pepper (a plastic butter knife will work just fine), stirring in the chopped basil, and arranging the shredded cheese on top. 1. Preheat the oven to 400°F. Slice the English muffins in half and place on a baking sheet. Toast lightly in the oven for about 5 minutes if desired. Set aside. 2. Heat the oil in a large nonstick skillet over medium-high heat. Add the bell pepper to the skillet and cook, stirring frequently, until golden and tender, 5 to 7 minutes. 3. Add the beef and cook, breaking up the large pieces, until the meat is no longer pink, about 5 minutes. Drain excess fat. Add the pasta sauce and basil and stir to combine. 4. 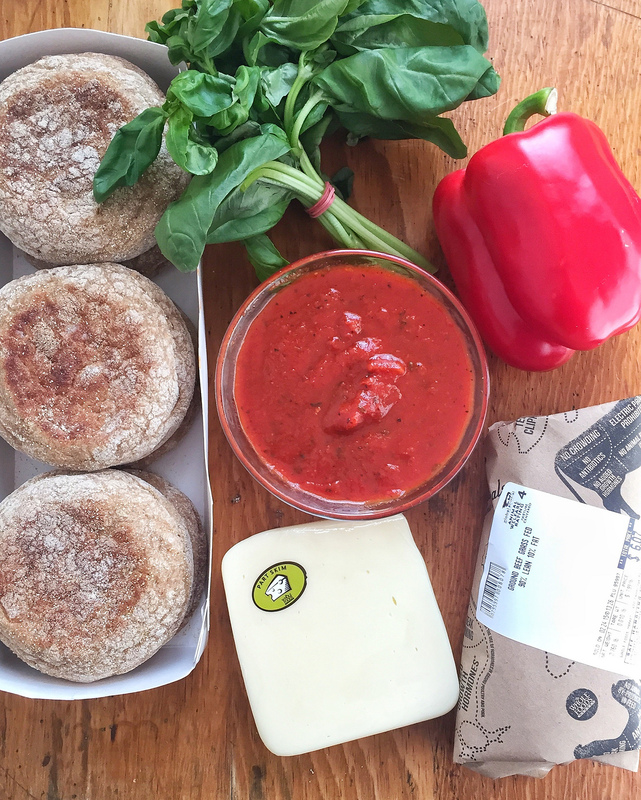 To assemble the pizzas, top each muffin half evenly with the meat mixture. Sprinkle the cheese evenly over the tops. Bake until the cheese melts, 5 to 7 minutes. Sprinkle chopped basil on top or decorate with a small basil leaf, as desired.